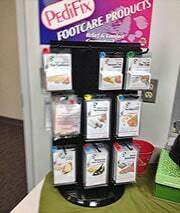 We carry a full line of foot and ankle care products at our Dayton podiatry office. A list of our most popular products is included below. These products are available for purchase at our office anytime with no appointment required. 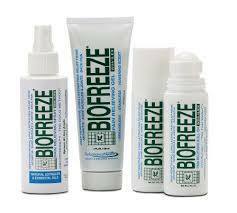 Cold therapy pain relief gel for arthritis, back pain, sore muscles and joints. Intensive skin therapy cream that moisturizes and softens dry, rough, callused areas. Free from potentially dangerous toxins, such as DBP, toluene and formaldehyde and also enriched with organic ingredients.